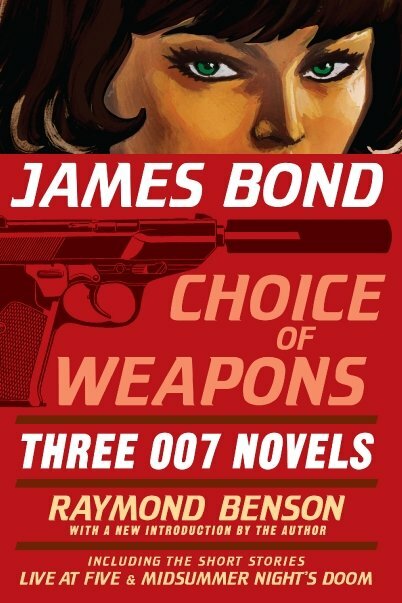 Choice of Weapons, the upcoming 007 compilation book that includes three of Raymond Benson’s James Bond novels is now listed on Amazon.com . 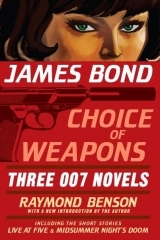 Choice of Weapons will include Zero Minus Ten (1997), The Facts of Death (1998) and The Man with the Red Tattoo (2002) as well as the short stories “Live at Five” and “Midsummer Night’s Doom”. The book clocks in at a hefty 864 pages. That’s 32 more pages over Volume I – The Union Trilogy which was released in October 2008. Previously the book was said to be hitting shelves in “Spring 2010“, though now according to the listing it appears publication will be taking place in August instead.